The alpha is now live! Contact your CSM to get more information about the alpha environment and also gain access. Please note: If you use any Interfolio products, these upcoming releases will affect you. If you use Interfolio through your current academic institution, the individuals who serve as your school’s primary points of contact with Interfolio will receive notice of all changes well in advance of each release, and will be provided with continuous updates on product enhancements throughout the year. At the end of Q1 2018 (late Feb - early March), Interfolio will release an exciting functional and aesthetic upgrade to our faculty technology suite. With this release, Interfolio takes its first step toward becoming the first commercially available faculty information system in higher education by forging new connections between its existing, standalone enterprise products. The changes coming this spring will be the first of several enhancements taking place over the course of 2018 that will help strengthen the platform-wide interoperability of Interfolio’s product suite. Those with multiple Interfolio products will see new ways to connect, share, and learn from data across the platform. 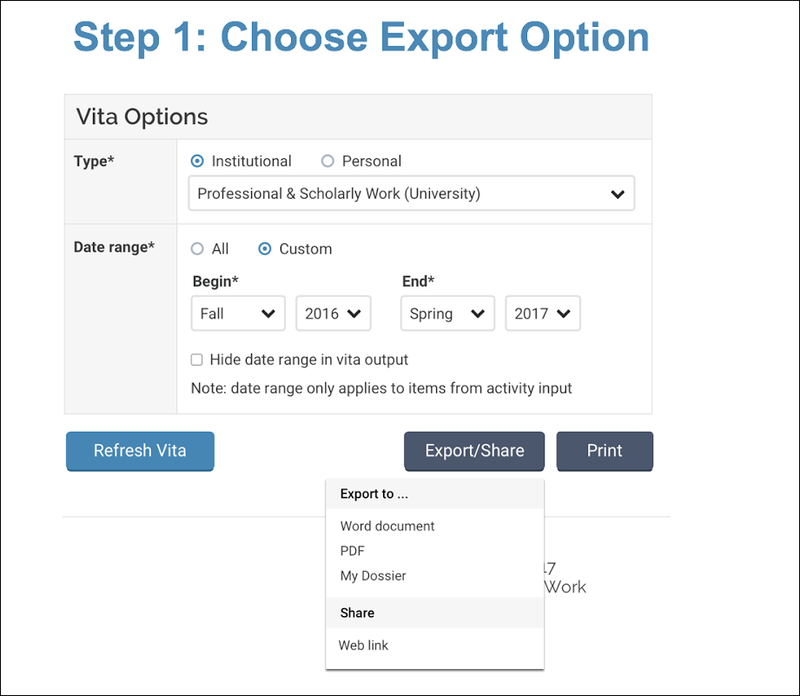 The ability for the individual faculty member to export and store CV data from Interfolio Faculty180 as a document to be stored in their own Dossier, forging the first connection between these two products. We’ll be providing more details about the product changes in the year to come as well as a functional alpha test environment for the features outlined in this article in January 2018. The first part of the Q1 2018 product release is a new landing page that will serve as the central navigation screen for your Interfolio experience. This new homepage will bring all of your Interfolio enterprise products into one, easy-to-navigate space. Most actions that you will take to navigate to where you want to go will remain the same— though the layout might look different initially to some, it has been designed to direct all users to what they need to accomplish in the platform. The most noticeable change is that users of one or multiple products will share the same left and top header navigation, as you can see below. Instead of the current model, where you must navigate back to your Interfolio dashboard in order to move between modules, the new platform interface will include all actions for all products in the left side navigation bar. “Action Items” for All Products: Users that have access to multiple Interfolio enterprise modules that is, Interfolio Faculty Search, Interfolio Faculty180, or Interfolio Review, Promotion & Tenure will see a consolidated, organized list of all the different Interfolio faculty processes they are currently involved in on behalf of their institution. A consistent set of visual markers will make clear the nature of each process, and one’s role in it. Institutional White Label: Many of our client institutions rebrand Interfolio on their campus, including aspects like colors, logo, and even institution-specific system names (such as Kent State University’s “FlashFolio”, or University of Arizona’s “UA Vitae”). The new platform interface will continue to support white-labeling. How do faculty see their Dossier? The above images highlight how Interfolio’s enterprise modules will live together on a new homepage. But how does an individual faculty member access their Dossier account from here? What’s Dossier? 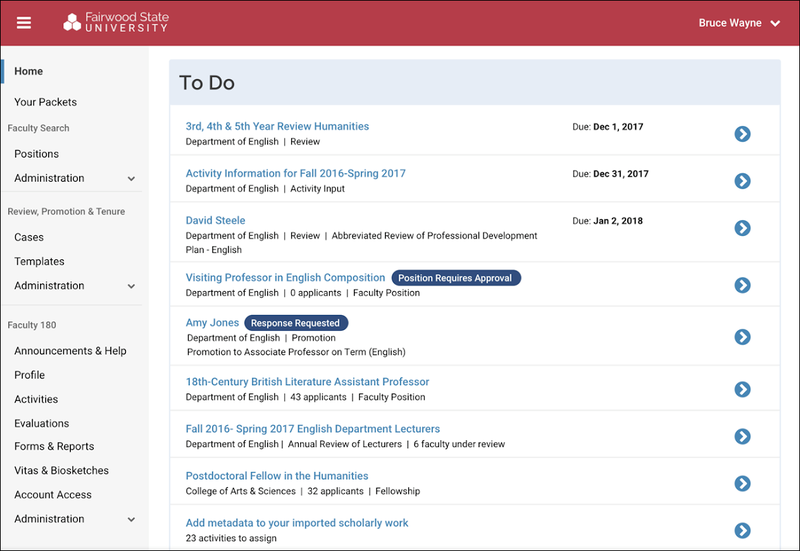 It’s a lifelong private space for faculty to collect their academic materials and curate them into collections for presentation at various points in their career, and it’s included when your school uses either Interfolio Review, Promotion & Tenure or Interfolio Faculty180. Learn more here about Dossier here. In the drop-down menu under the user’s name in the upper right of the new interface, you’ll see how faculty will be able to move between their individual, private Dossier and any of the institutions where they have access to the Interfolio enterprise platform. The second part of the Q1 2018 product release is the ability for faculty members at institutions that use both Interfolio Faculty180 and Dossier Institution to export their Faculty180 institutional CV into their Dossier. Once the Faculty180-generated CVs are in their Dossier, faculty will be able to reuse them as appropriate in future faculty processes hosted through Interfolio whether through the faculty activity reporting module (Faculty180) or the academic workflow module (Review, Promotion & Tenure). First, the faculty member chooses whether they’d like their CV data to be exported from Interfolio Faculty180 as a Microsoft Word or PDF document. Then, the faculty member may add the new CV document to a particular collection within their Dossier. 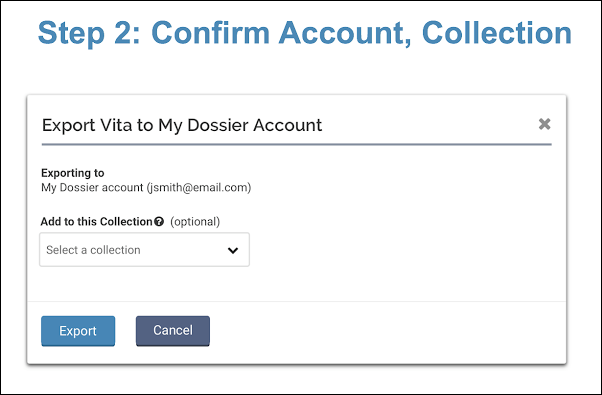 Collections are a feature within Dossier for organizing stored materials, including documents, images, videos, and links to online materials. They are meant to help faculty prepare in advance for later career moments, like tenure or promotion. As we’ve mentioned, this early 2018 release marks Interfolio’s first step toward becoming a true faculty information system. So, what does that mean? We believe a faculty information system is an enterprise platform that accommodates all of the decisions, data, and lifecycle moments that revolve around every individual faculty member. The pillars of the system (the hiring platform, the review platform, the reporting platform, etc.) must talk to each other in order to provide the most comprehensive overview of all faculty actions, from hiring through tenure. That’s why we’re going to continue to build ways for our products to talk to each other over the course of 2018. But, perhaps the most important element of our faculty information system is its reliance on a core of validated faculty data that’s beneficial to the faculty member themselves. By putting the experience of the faculty first with tools to help them advance their career, or apply for grants, or collaborate with scholars and mentors we make sure that the institution benefits from increased adoption and more accurate data. As a result, in 2018 the individual faculty member’s Dossier will play an increasingly central role, both as the vehicle to drive widespread faculty engagement and as the collection and validation point for faculty data in the longer term (that’s why it’s so important that our Faculty180 clients start to reap the benefits of the Dossier). 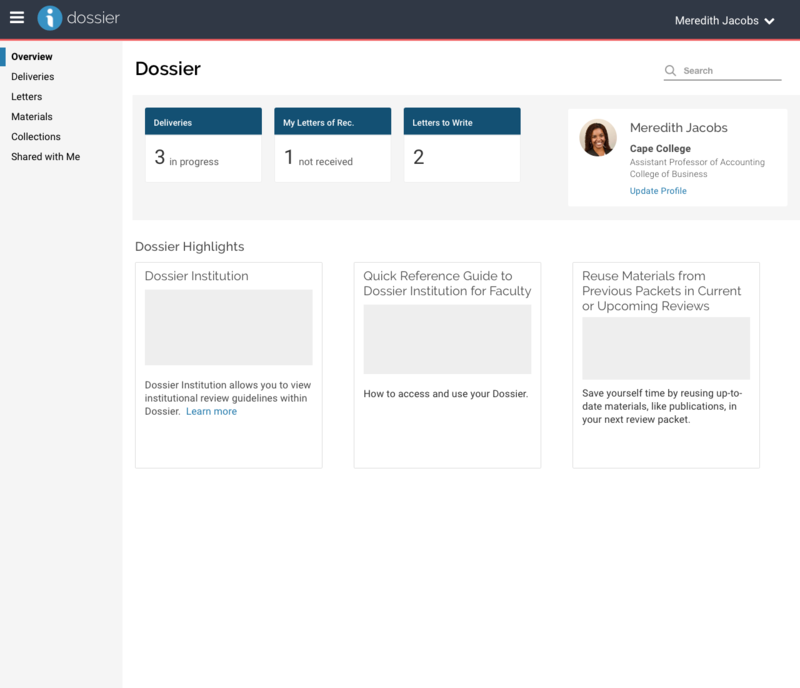 So if your institution doesn’t currently make use of Dossier for all of your faculty, you’re going to want to start. We can help! We’ll be providing more information about the year to come in webinars, emails, and other content in the coming months. In the meantime, if you have any questions, you can always reach out to a product expert to schedule time for a 1:1 chat.